Hello friends! It’s been too long since the last post, but I’ve been busy prepping the house to move. I’m happy to report that we are as ready as we can be. 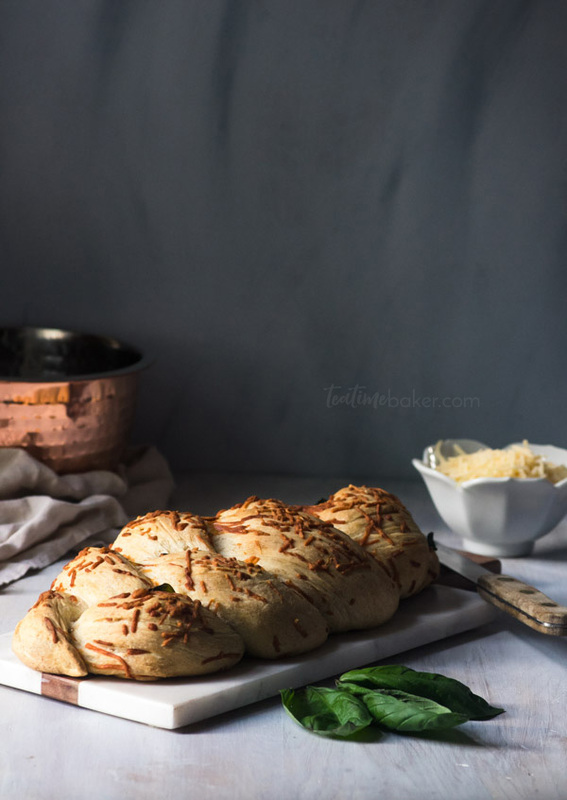 This summer has been a whirlwind of activity and it was a lovely change to be in the kitchen baking again for this Braided Basil Parmesan Loaf. 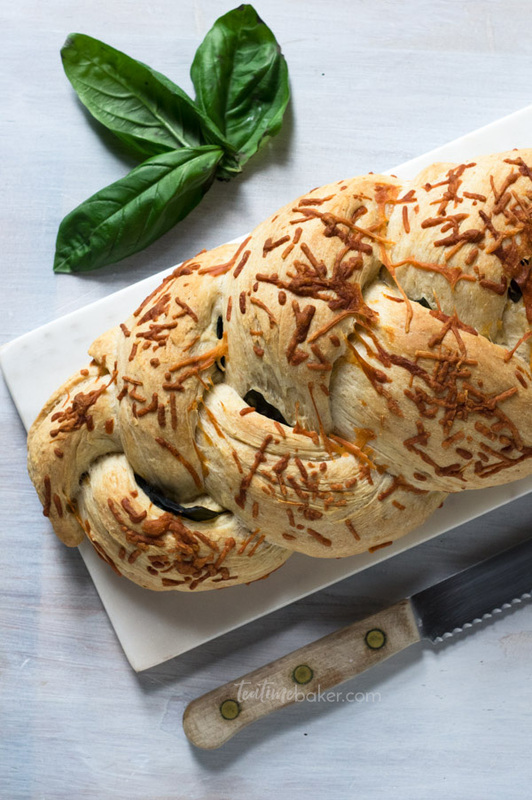 What better way to celebrate the final days of summer than with a beautiful loaf of bread? It is crunchy on the outside and tender on the inside and laced with grated parmesan and fresh basil for a lovely fresh flavor.